One of the building blocks of a solid farm business is having a firm grasp on the farm’s accrual-based profitability. Accrual-based accounting records revenues and expenses when they are incurred, regardless of when cash is exchanged. From a tax standpoint, every farm is different so a cash-based tax method may be the best choice for your operation. Regardless, it’s important to understand your farm’s profitability on an accrual basis. Our goal at Harvest Profit is to help farms make more profitable and less emotional farm business decisions. To accomplish this we’re trying to simplify the process of tracking a farm’s profitability in real-time on an enterprise, crop-by-crop, field-by-field, and landlord-by-landlord basis. In version 1.0 of our software, we help you build your real-time P&L by allowing you to “apply” variable inputs on a field-by-field basis. 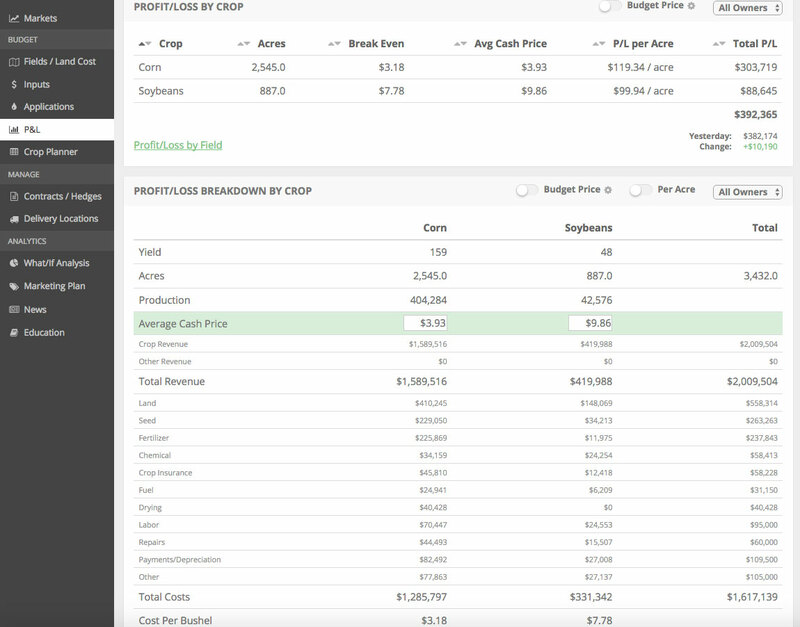 We’re in the process of improving on this by allowing you to build a custom activity-based farm income statement. We beleive this better represents the actual operations of a farm. Please watch a quick overview below of what we’re working on and let us know if you have any feedback. Note: To reduce clutter in our blog, we’ve changed our New Feature Friday posts to be done on a monthly basis. We want the blog to focus on content that can best add value to your farms.